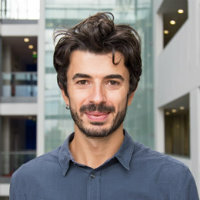 Dr Stefano Sgambati joined City, University of London in September 2016. His research questions theories, histories and politics of money and banking, with specific reference to current transformations in global finance. Sgambati, S. (2019). The art of leverage: a study of bank power, money-making and debt finance. Review of International Political Economy pp. 1–26. doi:10.1080/09692290.2018.1512514 . Sgambati, S. (2016). Rethinking banking. Debt discounting and the making of modern money as liquidity. New Political Economy, 21(3), pp. 274–290. doi:10.1080/13563467.2016.1113946 . Sgambati, S. (2015). The Significance of Money Beyond Ingham's Sociology of Money. European Journal of Sociology, 56(2), pp. 307–339. doi:10.1017/S0003975615000144 .